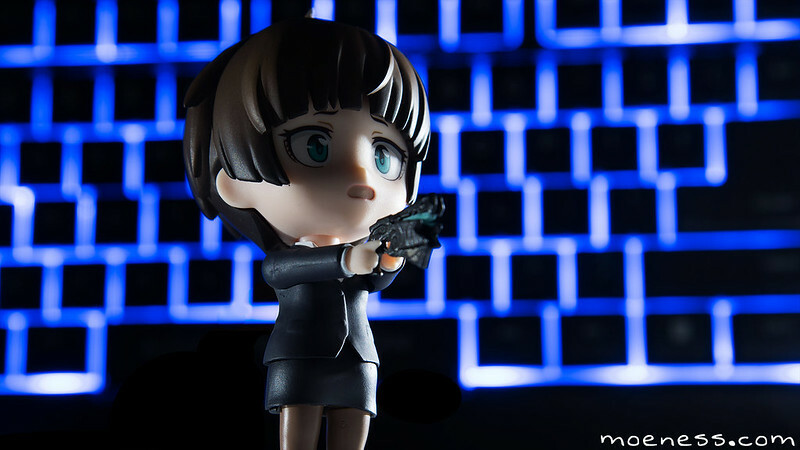 Psycho Pass is an amazing show and those of you who followed the series would’ve know who Tsunemori Akane. In this setup, I want to capture her in a scene that’s dark, I imagined her coming across a dangerous criminal. I got this idea when I was reviewing this keyboard, don’t ask me why I haven’t come up with any ideas earlier despite viewing so many colored keyboards. 😀 Ideas take time to cook you know? It’ll work fine even if you use an entry level camera, I had the camera on manual setup with 2.5″ second shutter | f/8 | ISO 100. As for the lighting, I’m using the LED from a Samsung Galaxy S6. I know this is an expensive phone (this is a review unit!) but you can use the LED available on your phone or an RM 5 white LED torchlight and it’ll work the same. Why 2.5″ seconds? Why LED? The idea here is to have a low-cost setup – one that doesn’t break your bank account. With long shutter speed it is advisable to use lower ISO and photograph it at a sufficiently dark area. The above output is achieved by moving the LED around the subject while carefully align it to cast the right lighting I want on the figure but not casting any light on the keyboard. 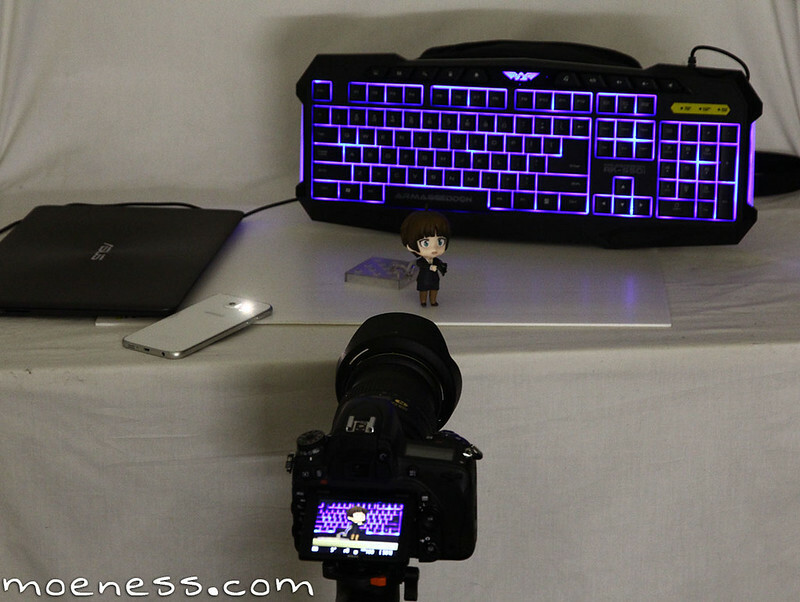 Here’s how you do Light Painting on a figurine. After all is done, set the color temperature of the image to something of a cooler temperature to give it a cold feel. Happy Valentine’s Day with Mikoto and Kuroko!